-SG- Early Norton literature does not mention the 17C until 1921 at which point the regular Model 16 became the 16H (H for Home market) and the 17C came into the range, being intended for the Colonial market. The recent printing block images show the 17C and it is clearly quite different to the 16H, having a tank akin to that of the Big Four (Model 1). In addition, it had increased ground clearance to make it more suitable for the rudimentary roads in many of Britain's colonies in the twenties. It did not however sell that well and entries for it in the records are few and far between. A basket case SV machine in a very rough condition and incomplete, from the early twenties, was sold by Bonhams a couple of years back and this has been re-built from stem to stern (photo below). It is considered to be a 17C, although one 'Doubting Thomas' of my acquaintance made the rather grudging comment that a 17C was only a factory-assembled 'Bitza' - a Big Four with a 16H engine! Incidentally the frame and engine numbers of this particular bike pre-date the records. In point of fact, my friend made a very valid remark. The Big Four is catalogued as having 6" (15cm) ground clearance - the same as the 17C - and such essentials as tank, forks, gearbox and wheels all show in the parts lists of the early twenties as being the same on both of these models. However, it seems that the 17C frame differed in some small way to that of the Big Four until 1926, at which point the spares lists shows the same frame for both models. The main differences appear to have been in the mudguards, footrests (the 17C had footrests and the Big Four footboards) chain guards, and of course, the engine capacity. There was, however, one massive order for the 17C model in 1927 when no less than 160 machines were supplied to the Soviet Trade Delegation for use by the Soviet Army. These were delivered in two lots in May and July 1927. They were fitted with B and B carburettors, 26 x 3 tyres and Druid forks of the type used on the Big Four. The 'Extras Column' for these machines in the records shows that they were all equipped with various non-standard bits and pieces - to whit: "Terry Saddle: Footboards (I assume like the Big Four): Front and Rear Powell and Hanmer Acetylene Lights and Generator: Bulb Horn: Tyre Repair Kit: Spring Link and Cranked Link: Valve Lifter (I assume this was a description for a valve spring compressor,as the 16H engines were fitted with a valve lifter as standard)." I have never seen a notice of this large order in any of the periodicals current at the time. Neither have I seen it mentioned in any of the various Norton histories, although that is perhaps not surprising as, dare I say it, most of the authors thereof are not, or were not, specific Norton enthusiasts but just jobbing journalists. 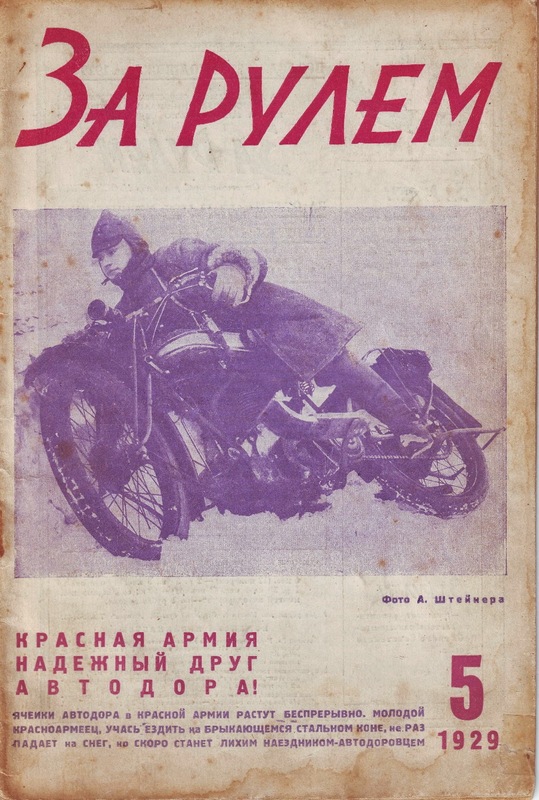 I suppose it is a possibility that the Norton management felt it was better not to publicise it as memories of the 1917 Revolution and murder of the Czar and his family might have been too fresh in the minds of the general motorcycling public. What is intriguing too, is that, shipped at about the same time, also to the Soviet Trade Delegation, was a solitary Model 25. Perhaps this was a 'sweetener' for the Soviet official responsible for negotiating and placing the 17C order! It is beyond the realms of probability that the Model 25 has survived but, perhaps not so surprising, in view of the numbers involved, that at least two of the Army 17Cs have. One - incomplete - is now back in UK and the other is owned by Juris in Latvia, who was responsible for finding both machines. This too is incomplete in that it is missing a fuel tank so if anyone who reads this has a 1926/7 Big Four tank spare, Juris would be very pleased to hear from you! Finally I am very grateful to Juris for the scan above dating from 1929, actually showing a worthy Soviet soldier with one of these machines ... all in all a small but important part of Norton history. in place of the original (dodgy!) bicycle type.